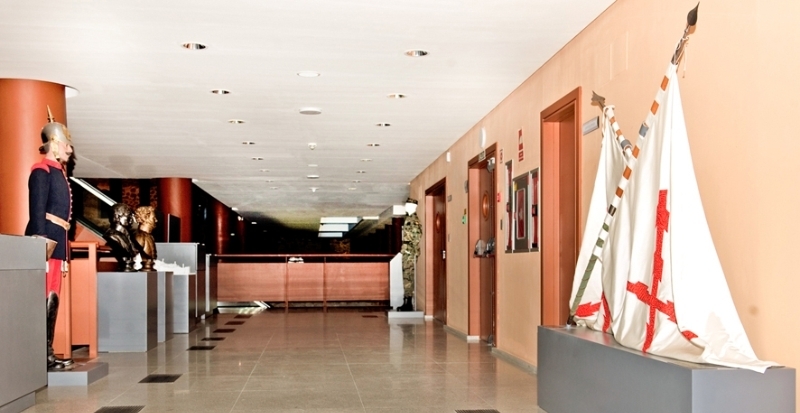 The Army Museum, included in the Network of Museums of Spain, has among its priority objectives “guaranteeing the citizens accessibility to culture, especially those who have some degree of disability”. 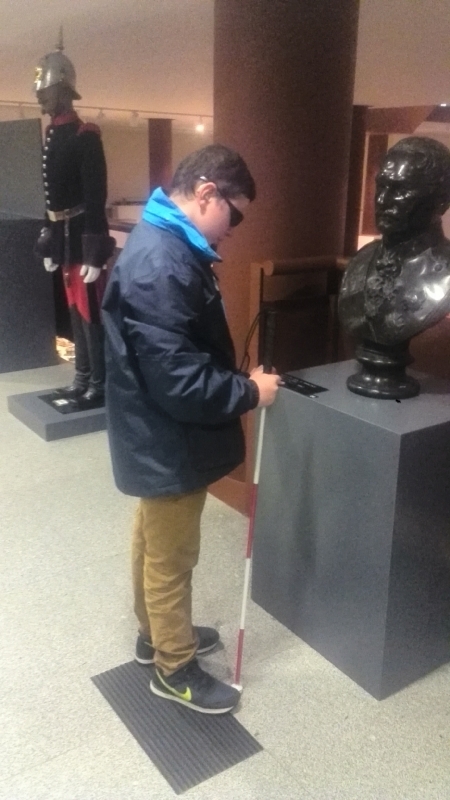 To facilitate the accomplishment of the purposes of the Army Museum for people who have reduced sensory capabilities, and especially the visual ones, the Museum has created at level 3-B of the new building, a “See and Touch area” . The See and Touch area is an exhibition area equipped with elements in the museum that are designed for people with visual impairment. This allows visually impaired people to access, by touch, both the exhibits and the information related to them. 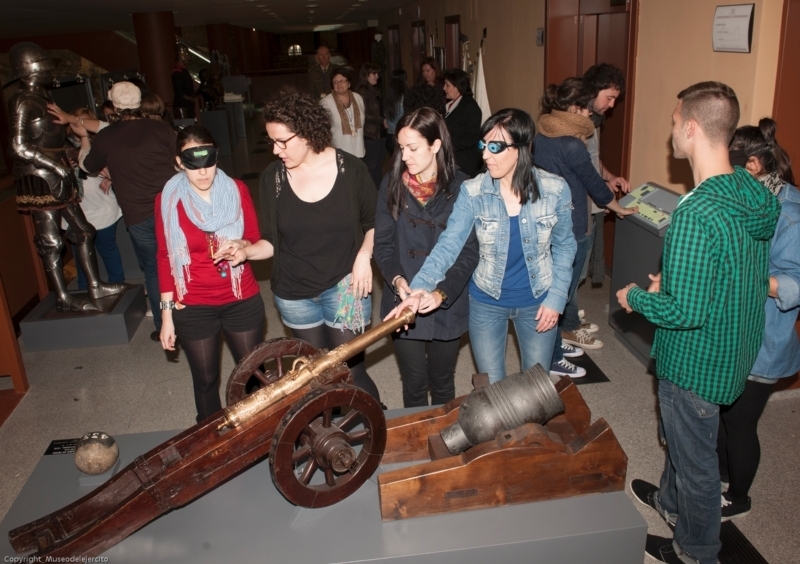 These elements, made up of items from different collections (weapons, uniforms, flags, decorations, sculptures, models…) are part of a historical-typological tour in which we can find tactile stations and a set of questions and answers that allow the visitors to interact with them. Its features are included in the audio descriptions that are used as support for the visit. It is an area of NON EXCLUSIVE nature and is designed so that visually impaired people, their companions, guide dogs, and the general public can access it, although only people with visual disabilities can touch these collections, some of which are originals. Visitors who wish to access the See and Touch area must apply for it at the front desk (Visitor Service), which will manage the type of entrance to be provided and will facilitate the access to this area.